Get ready to enjoy an animated movie in a way we’ve never enjoyed one before. Very R-Rated and not at all appropriate for kids. 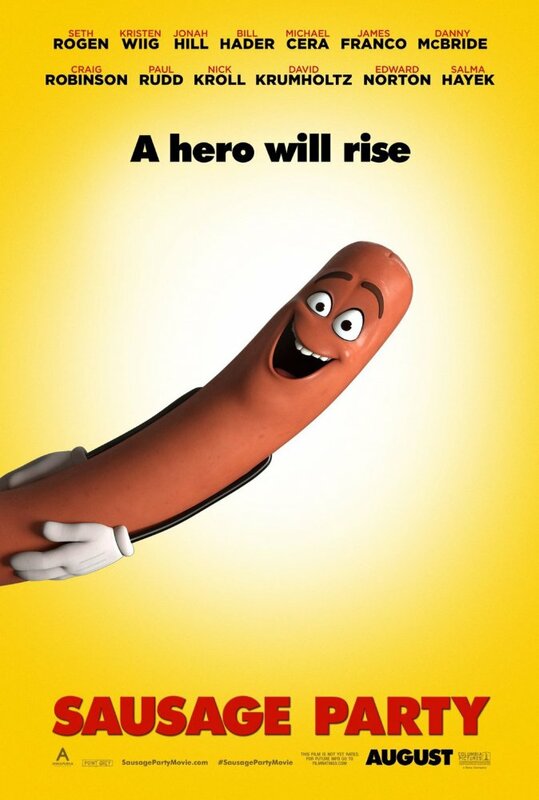 Ladies, check your tampons at the door because this is the red band trailer for ‘Sausage Party‘. A raunchy, hilarious look at the food we eat every day and this chick loves what she sees! What if your food was on a mission to discover the truth about their existence and decided to let you see them ala ‘Toy Story‘ style? This film shows us what happens after that. From the hilarious minds of Seth Rogen, Evan Goldberg, Ariel Shaffir and Kyle Hunter. The cast is full of Hollywood’s A-list including Rogen, Kristen Wiig, Jonah Hill, Bill Hader, Michael Cera, James Franco, Danny McBride, Craig Robinson, Paul Rudd and many more. The film debuts August 16 of this year. Get your laugh on and watch the trailer. This entry was posted on Friday, July 22nd, 2016 at 2:22 pm	and is filed under Film, News. You can follow any responses to this entry through the RSS 2.0 feed. You can skip to the end and leave a response. Pinging is currently not allowed. « Take A Look At The Poster For The ‘Wonder Woman’ Movie!! !